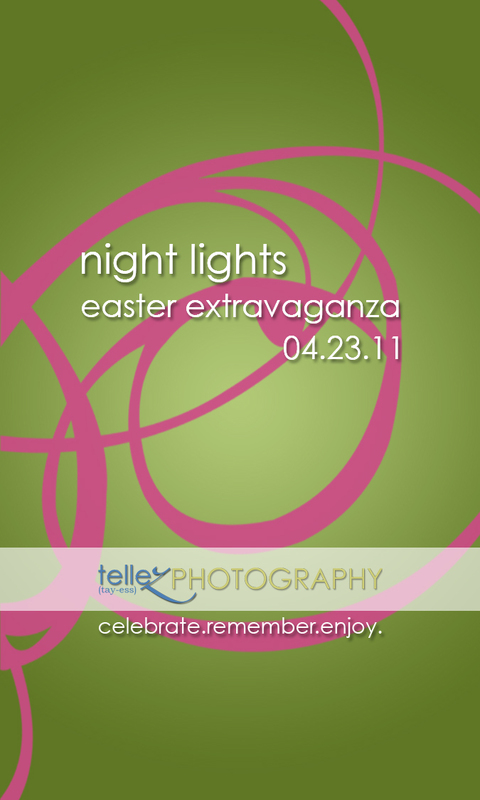 On April 23rd, I had the pleasure of spending time at the Night Lights Easter Extravaganza. Night Lights is a monthly Kids Night Out program for children ages 12 and under with Autism, Asperger's, and Pervasive Developmental Disorders, and their siblings. 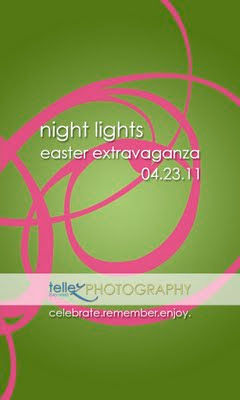 As a way to celebrate the season and raise a little money for upcoming Night Lights KNO events, Jerilyn Wasson, one of the founders of Night Lights, planned the Easter Extravaganza complete with face painting, Easter egg hunts, a blowup bouncy room, and a photo booth. It was a huge hit. My job was to man the photo booth and capture families, smiles and moments. I had a great time meeting all the different people. It touched my heart to see the parents who clearly are doing everything in their power to love these children who desperately need them. I applaud you all! Well done! For the parents who are interested in the photos, please click here. As a reminder to you, please note that you have two options to receive digital negatives: either order through the online gallery OR email a list of images you are interested in. Please disregard the discount code on the back of your cards. I will assume that you are interested in the digital negatives for all orders unless you email me separately and tell me you actually want prints. Digital negatives are complimentary. All other prints and products are available at full retail prices. I know many of you are anxious to receive these images. I am anxious for you to have them. I ask that you be patient with me. I will fill the orders as quickly as possible, but I do work full time out of the home. I will attend to this as time allows and will keep working at it until you all have the images you need!! Enjoy the memories!